Rapid technology provides direct detection of the Respiratory Syncytial Virus. 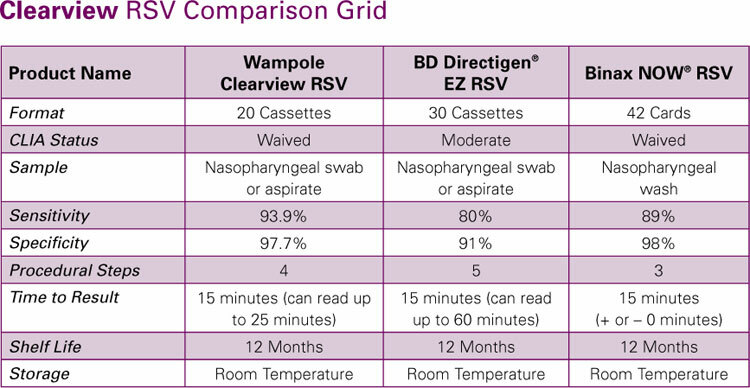 specific tests for Respiratory Syncytial Virus (RSV). 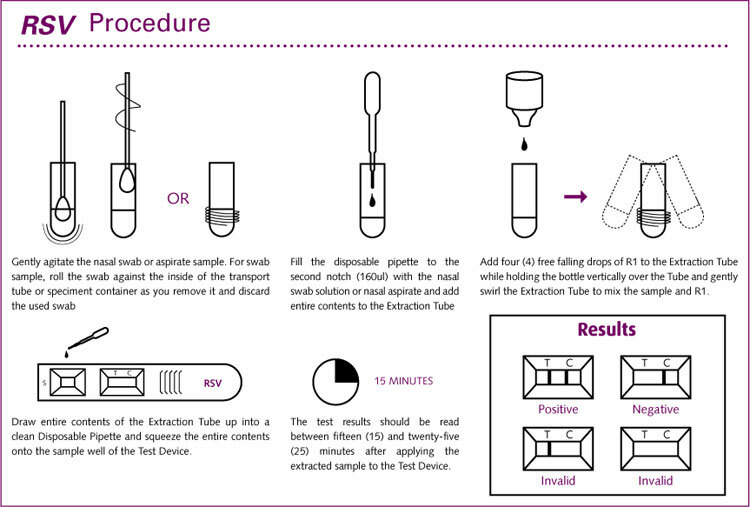 Rapid Response: 4 easy steps,result in 15 minutes. 6 years and adults over age 60. Shortens the course of illness.